Rachel Ramos recently graduated from the University of Southern California with a Master of Science degree in Journalism. She previously attended California State University, Fullerton where she received a Bachelor’s degree in Broadcast Journalism. She has a passion for storytelling and hopes to become a broadcast reporter for a local TV news station. Rachel’s sports background is in competitive cheerleading, dance and gymnastics. 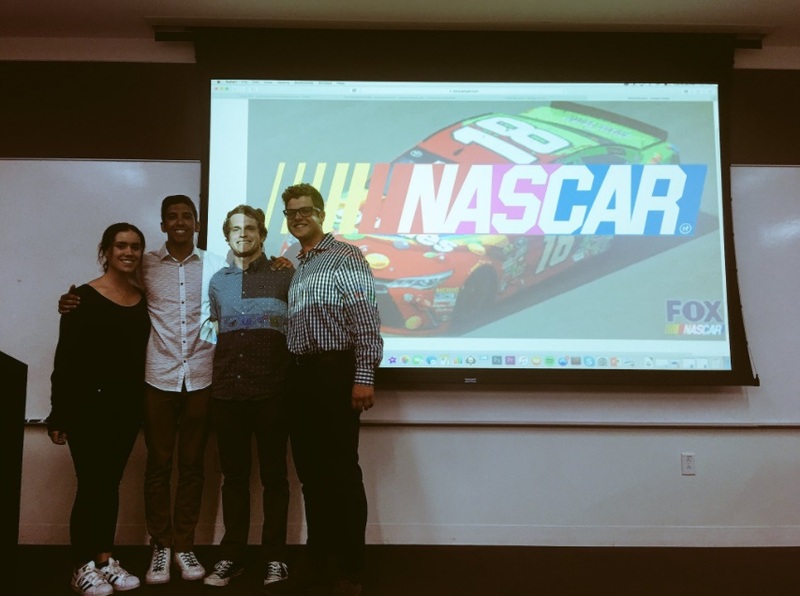 She loved the challenging opportunity at Fox Sports U to channel her creative energy into a unique sport like NASCAR. Everyone at FOX Sports U has been nothing but helpful and encouraging. They have all offered us a true real-world experience. 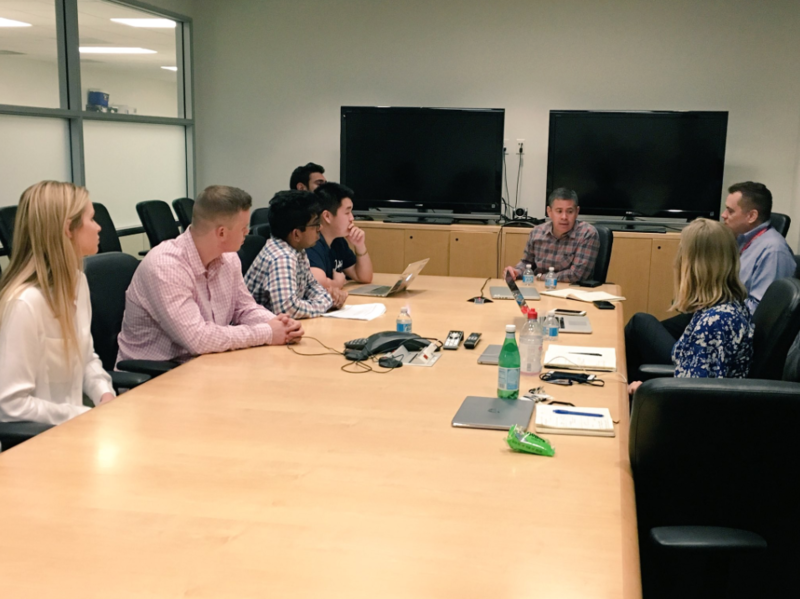 The Fox Sports U team provided great constructive criticism that has helped us grow and will help us be ahead of the game in our future careers. I loved the opportunity to not only work on an idea for NASCAR, but attend the racetrack and see what the broadcast actually looks like behind the scenes. I’m not even a business major or even planning on going into sports, but the tools I’ve been given during this program will help me go far in my career as a journalist and as a professional. Connor McGlynn is from Philadelphia and recently graduated from the University of Southern California with a B.A. in Broadcast and Digital Journalism and a minor in Sports Media Studies. 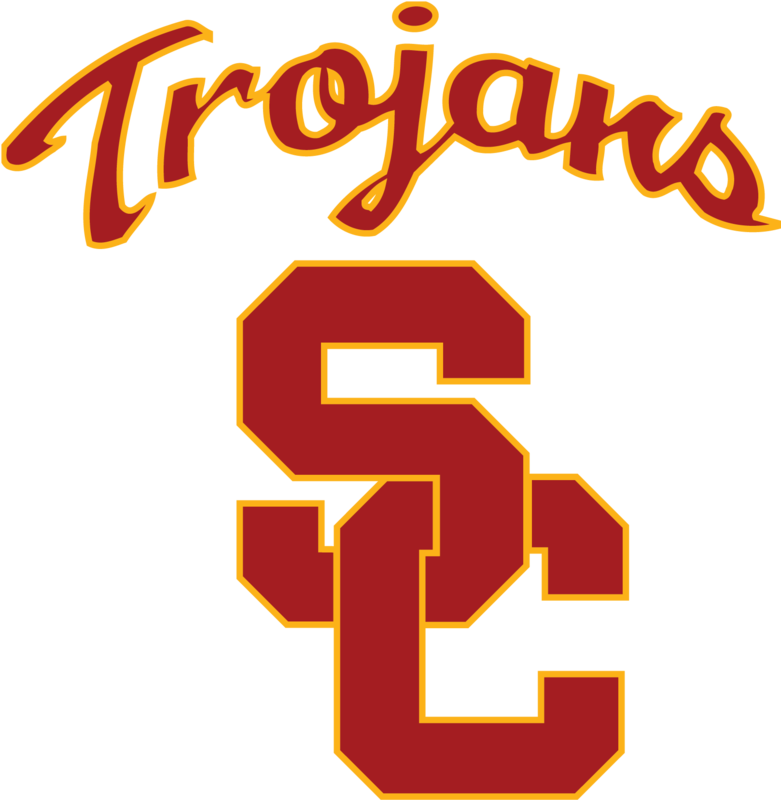 While at USC, McGlynn diversified himself across sports coverage, acting as the Sports Director of Annenberg Media– the student-produced television news outlet, writing for Rivals.com as a football analyst and held roles as producer and on-air host for Sports SCene, a weekly show analyzing USC athletics among other activities. 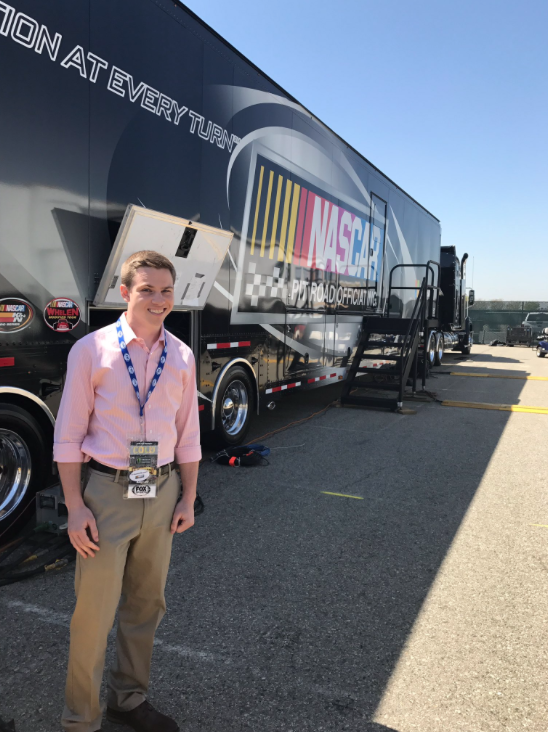 After graduating in May, McGlynn plans on entering the sports media realm in either an on-air or digital content producer role. Outside of covering sports, McGlynn spends his time playing a variety of games with friends ranging from pick-up basketball to bowling to curling, as well as cooking and trying different restaurants. Working with the group from FOX Sports U was one of the more hands-on experiences I’ve had in a class during my four years at USC. They challenged us to be creative, innovative and comprehensive in coming up with our project, all tools that will serve well in any project in the future. The FOX Sports U NASCAR project was unique and put us into the heart of a professional setting. It was the first time I’ve experienced an instance where we were able to take the lessons we learned in class and immediate apply them in a real-world situation. It is one thing to create a presentation for class, but being able to make a project you know will be evaluated by some of the leaders of an industry-leading organization is invaluable. From conception to delivery, participating in FOX Sports U was a one-of-a-kind experience. Kevin is from Mansfield, Massachusetts and graduated from the University of Southern California in 2017 with degrees in Broadcast and Digital Journalism and Political Science. He is currently based out of New York as a Video Audience Development Associate at the Wall Street Journal, focusing on analytics and trends in multimedia content. Beyond journalism, he enjoys being outside, watching and talking about sports and eating great food. After working for a company, he hopes to create a new product that will bridge the widening gap between news organizations and their respective audiences in order to restore trust in the media through simplicity and informational accessibility. FOX Sports U’s program is a perfect dive into business development. It forced me to identify opportunities for improvement and think critically about how to solve them. I was offered real life experience in the classroom and got feedback from professionals, not only about the product itself, but about effective ways to pitch ideas to executives in the future. FOX Sports provided me an opportunity to indulge curiosity and learn about the aspects of the media industry that I wouldn’t have normally thought about. Julia Adams is from Pacific Palisades, California. She is a sophomore Broadcast Journalism major and Sports Media Studies minor at the USC Annenberg School for Communication and Journalism. Julia is an aspiring sports broadcaster and was a head sports anchor for Annenberg TV News this past semester. She also has worked in Athletic Development for USC since the start of her freshman year. Julia is an avid USC football fan and never misses a home game. It was such an incredible opportunity as a student to present an original idea to FOX Sports professionals who are spearheading the growth of sports media and technology. 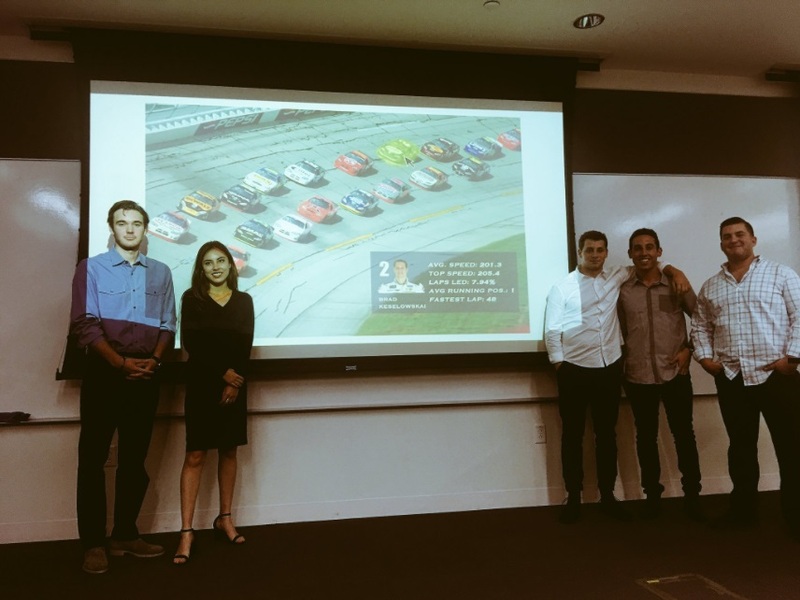 I really enjoyed learning more about NASCAR through this program, which is a sport I knew nothing about beforehand, and producing a product that could potentially be used to enhance NASCAR viewership. 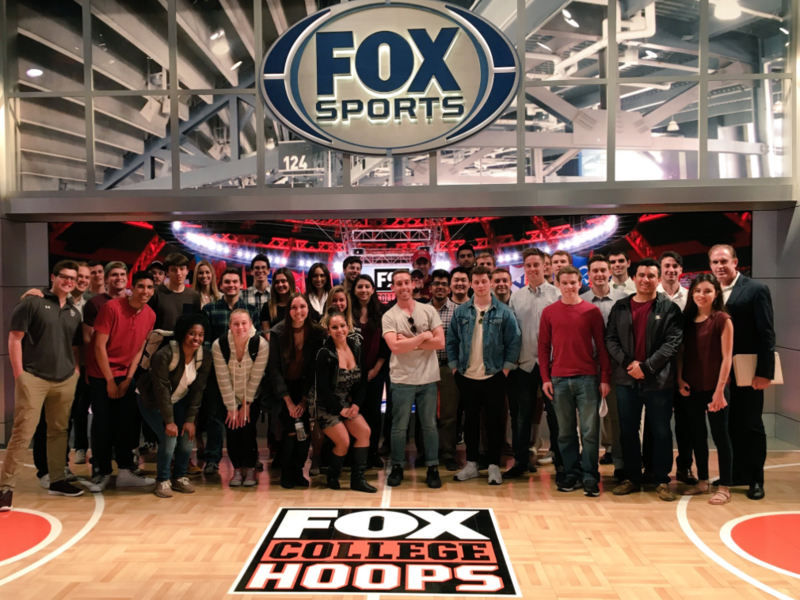 FOX Sports U program provides invaluable, hands-on experience for the students involved. 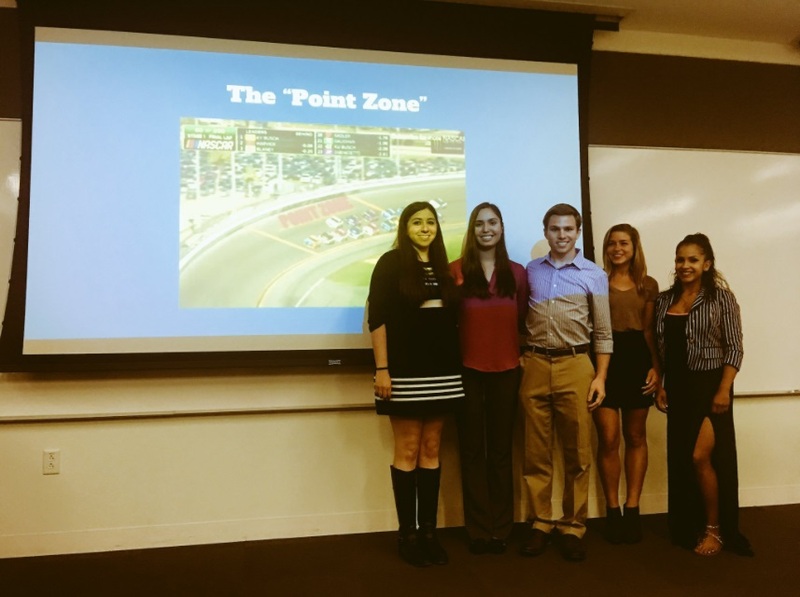 The NASCAR project was one of the most rewarding experiences of my college-career so far. Marissa Deutsch is a Master’s candidate at USC’s Annenberg School for Journalism. After graduation, she hopes to write for a sports or business-focused publication. Before attending graduate school, Marissa wrote about USC football for SB Nation. Her other favorite sports to write about include basketball, hockey, and baseball. 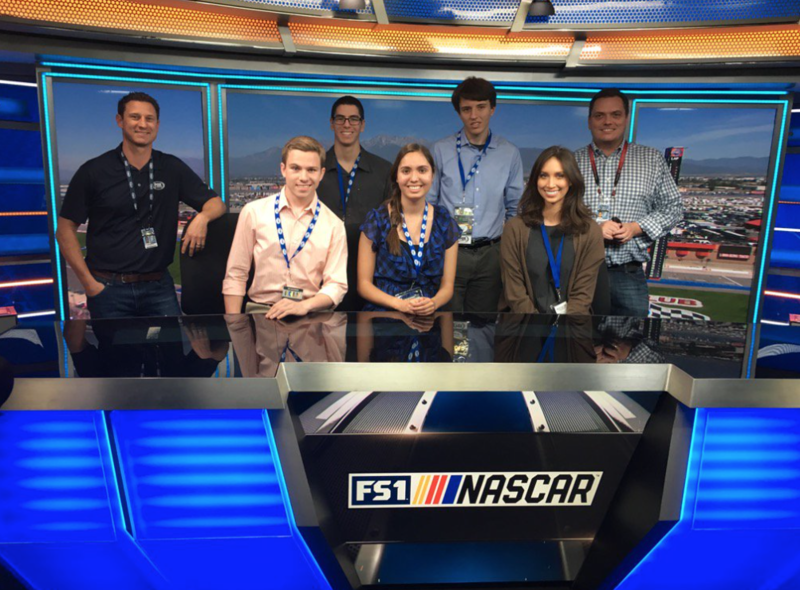 It was an amazing opportunity to work with the people at FOX Sports University and NASCAR. The whole experience really opened my eyes to this whole different sport I had never really learned about. The way that the people at FOX Sports listened to our idea and let us run with it was really empowering. They were super encouraging every step of the way, and took the time to give us invaluable feedback. To get to be a part of this process and have this level of involvement, especially as a student, was a huge honor. Growing up in the wintry tundra that is Minneapolis, MN, Ben elected for a collegiate adventure and attended USC in the sunny sanctuary of Los Angeles, CA, where he recently graduated in May 2017 with a Bachelor of Arts in Communication and a double-minor in Marketing and Digital Studies. With fiery passions for sports, music, comedy and entertainment, Ben hopes to apply his media, production and marketing experiences as he transitions to the professional world and begins his career. In his free time, Ben loves traveling the world, attending Classic Rock concerts, playing and watching sports, socializing, screening Will Ferrell movies and fooling around on one of the four musical instruments he knows. Despite not following NASCAR previously, I was able to develop an understanding and appreciation for the sport that I would not have cultivated otherwise as a result of this project. Working directly with an industry leader and innovator in FOX Sports was a dream come true for a student looking to enter the sports industry. The real-life, hands-on nature of this project was incredibly valuable not only to experience the start-to-finish process of team problem-solving, but also because it revealed to student participants that we are capable of creating tangible, implementable, and exciting solutions to real sports challenges. Robert graduated from the University of Southern California in May 2017 with a Bachelor’s degree in Economics. He has a passion for sports, especially hockey. Robert grew up in Southern California, certainly a non-traditional hockey market. Despite this, at the age of eight years old Robert began playing hockey and avidly tracking statistics of professional hockey players. This instilled in him a desire to one day work in sports business and operations. To achieve that goal, he has studied data analytics at USC and he plans to work for a year after graduation and then attend law school to learn about contract law and collective bargaining agreements. The FOX Sports University staff was extremely helpful in providing the necessary information for the development of our idea. We learned every step of how the NASCAR broadcast gets from the track to the TV screen. FOX Sports University provides students with an incredible level of real-world experience that I’m confident will be invaluable for a wide array of sports careers. FOX Sports University allowed us to immerse ourselves in a sport with which many of us were unfamiliar. Our day at the Auto Club Speedway was an unforgettable experience. FOX Sports University took us right into the action where we gained an understanding of NASCAR that’s only possible in person. 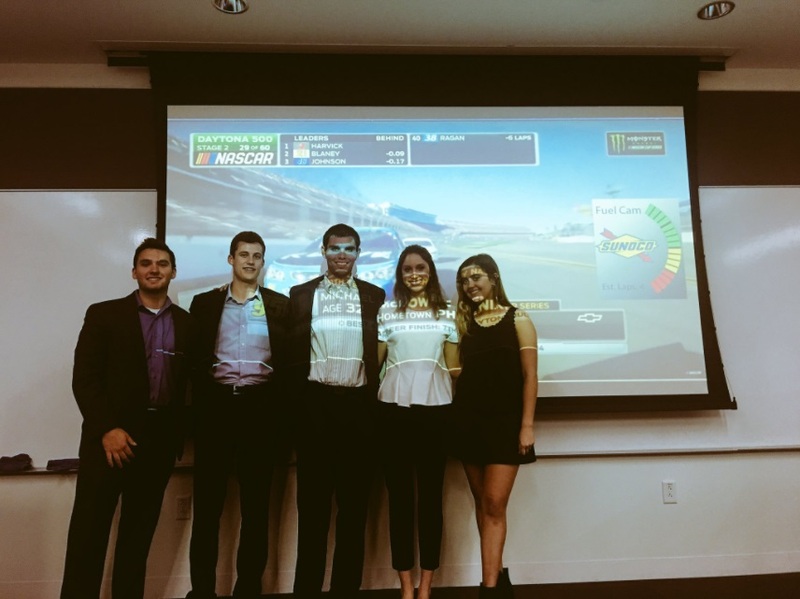 Sports Media, and Technology students in USC’s Annenberg School for Communication and Journalism were challenged by the FOX Sports Lab team to research and develop a strategy for FOX Sports NASCAR technology to be integrated into NASCAR broadcasts.